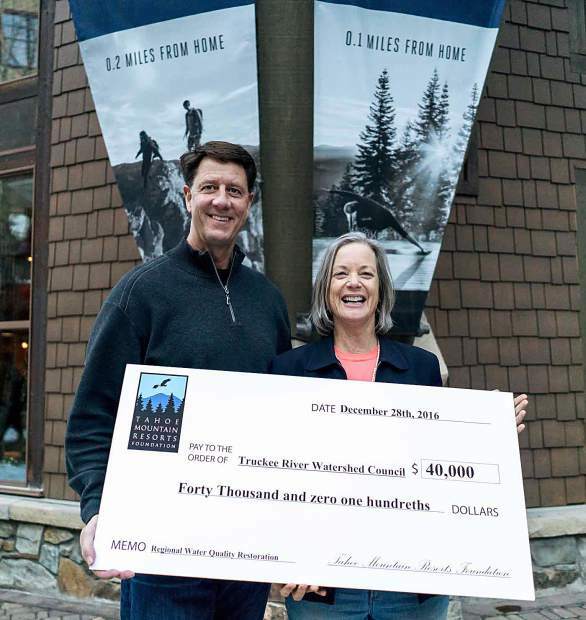 Blake Riva, left, of Mountainside Partners hands a check for $40,000 to Lisa Wallace of the Truckee River Watershed Council. Tahoe Mountain Resorts Foundation recently has awarded more than $340,000 in grants and scholarships for 2017, providing support to 33 Tahoe-Truckee area nonprofit organizations, programs, local students and community events. 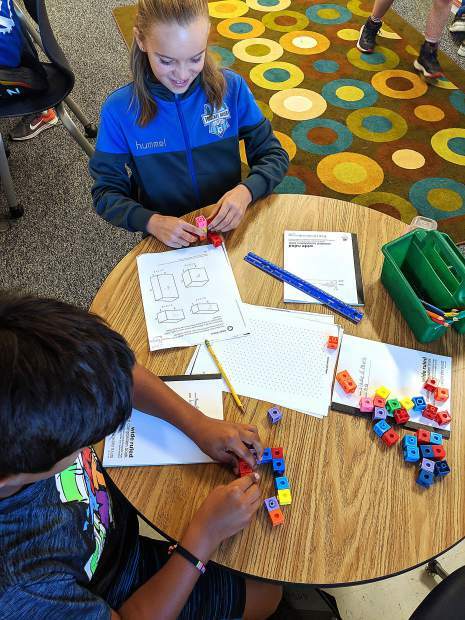 The Foundation’s contributions through its annual grant cycle exemplify the nonprofit’s commitment to improving the quality of life in the Tahoe-Truckee community, with a special focus on local youth and environmental programs. To specifically assist with regional transportation initiatives, TMRF’s contributions in support of the Highlands Gondola’s operations promote non-vehicular travel between the Village at Northstar and The Ritz-Carlton, Lake Tahoe. Winter shuttle service provided by Old Greenwood Master Association Transportation has for the past eight years, successfully reduced vehicle miles traveled and related greenhouse gases. In addition, the Foundation also awards annual scholarships to Truckee-Tahoe students interested in furthering their education. In 2016, $51,500 in scholarships were awarded to graduating Truckee High School, North Tahoe High School, Forest Charter and Sierra High School students. The 2017 scholarship award process will commence in April with awards to be given in May. Local students may learn more by visiting TMRFoundation.com this spring. This article was provided on behalf of the Tahoe Mountain Resorts Foundation, which is supported through a dedicated funding source of real estate transfer fees generated in the Mountainside Partners communities of Northstar Village, Mountainside at Northstar, Old Greenwood and Gray’s Crossing. For more information, visit www.tmrfoundation.com.